The messaging company brought on PMK to revamp its U.S. story. LOS ANGELES: Snap has hired PMK-BNC as its U.S. PR AOR to tell the story of its core product value to consumers, according to a source familiar with the matter. PMK-BNC was hired after responding to a competitive RFP led by Beth Andrews, SVP of brand communications at PMK. The Interpublic Group agency will be AOR, serving the account out of its New York and Los Angeles offices, a PMK representative told PRWeek in a statement. "It’s incredibly exciting to work with a company transforming the way we communicate," Andrews said in a statement. "Snap is a brand we love and use every day. We believe PMK-BNC is the perfect fit to support their culture of innovation and creativity." There was no incumbent, a source said. Snap wants to revamp the way it tells its story in the U.S., sources said. In December 2018, Snap named Julie Henderson as its first chief comms officer, replacing Mary Ritti, VP of comms, who announced her retirement in Q3 2018. Ritti is one of Snap’s earliest hires, according to the Financial Times. Currently, Henderson is EVP and chief communications officer at 21st Century Fox, which is closing a huge sale of its assets to the Walt Disney Company. Henderson starts in her position at Snap after that deal is finalized, which is expected to occur in the first half of 2019, according to Variety. Henderson wasn’t immediately available for comment. Snap’s latest agency hire follows a global review the company conducted in fall 2018 to support CEO Evan Spiegel’s plan to pursue growth in overseas markets, a Snap source confirmed. The review coincided with Snap rolling out an updated version of its Android app. The company wanted to reach the billions of people worldwide that use that operating system. Snap specifically looked at its agency support in the Middle East, India, France, Germany, Brazil, and Japan, said another source. Tanya Ridd, Snap’s EMEA director of comms, helped lead the review in that region, a source said. She joined the company in September 2017 from Apple, where she worked since 2005. Burson Cohn & Wolfe won business in the Middle East, India, and Brazil, according to two sources. Meanwhile, Snap awarded the France business to Idenium and Messenger. Germany went to The PR Network and Israel to GKPR. In Japan, Snap is in between agencies and doesn’t currently have one on contract, a source told PRWeek. 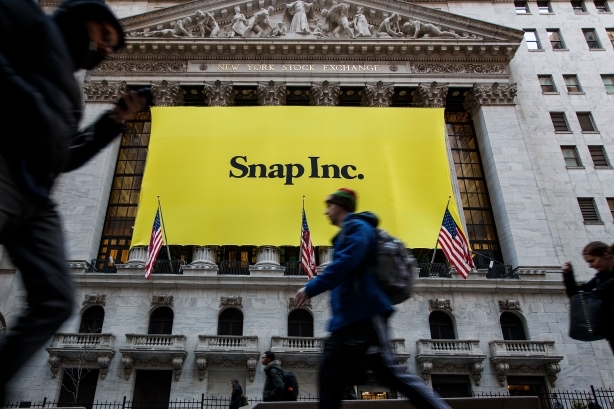 For financial communications, Snap relies on Sard Verbinnen & Co. The New York-based agency supported Snap’s much-anticipated March 2017 IPO that gave it a $35 billion market cap. A source said Sard Verbinnen would continue to service the company. Snap looked for additional comms support in Q3 2018, with much of its outreach being done on an informal, exploratory basis, according to sources familiar with the matter. Snap brought on BCW for support in the U.S. last year, but it was not on a retainer basis, a source said. "Our work is confidential, and we are not in a position to discuss," a BCW spokesperson said via email. In Q3 2018, Snap considered targeting parents. The company’s proposed consumer and lifestyle campaign was designed to start a conversation with parents about finding the right time to talk to children about social media, sources said. That same quarter, Snap enlisted BCW for polling support through its subsidiary Penn Schoen Berland, a source said. The company continues to rely on PSB for other comms-related matters, another source said. A Snap source declined to provide confirmation on if or when Snap would follow through on this comms program. Snap suffered a series of setbacks after going public. The company saw its number of daily active users in the U.S. dwindle throughout Q1, Q2, and Q3 last year as arch-rival Instagram copied Snap’s features. However, Snap reported a strong Q4, managing to stabilize at 186 million global users while generating more revenue per user than expected. A number of executives have recently left Snap. Noah Edwardsen, Snap’s director of corporate comms, left Snap following Ritti’s exit. He is now the head of corporate comms at Uber. A search to replace Edwardsen is still in progress, a source said. Ritti and Edwardsen were not immediately available for comment. Other exits include CFO Tim Stone, chief strategy officer Imran Khan, global head of sales Jeff Lucas, CFO Drew Vollero, and head of product Tom Conrad. To replenish its ranks, Snap hired Jeremi Gorman, the former head of advertising sales at Amazon, as chief business officer. Jared Grusd joined as chief strategy officer from HuffPost, where he was CEO.